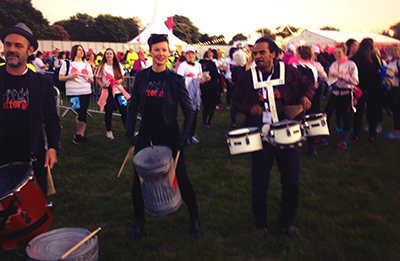 We perform again as moonwalk drummers for the wonderful women at the annual Walk for Life, Moonwalk, we drummed them out as they left on their marathon midnight walk around London! 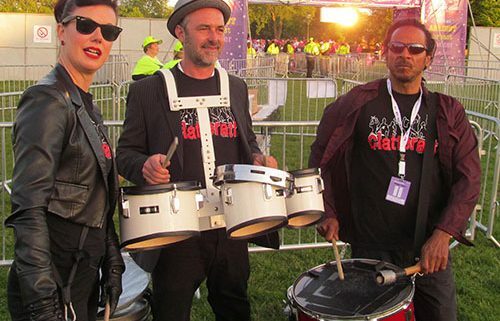 We also taught some of them how to drum! 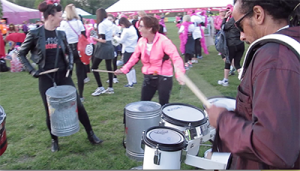 It’s a special occasion and we are proud to be involved with such a good cause, and be their Moonwalk drummers!